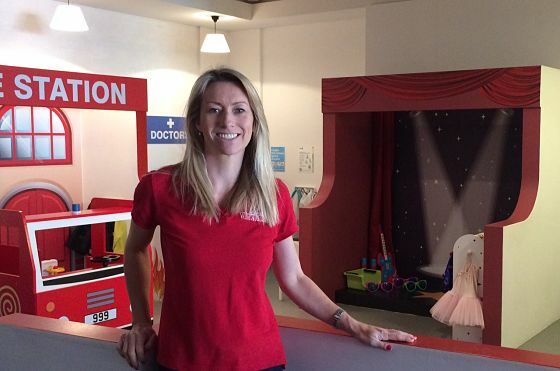 With a long-term dream to bring something new and innovative to her home town of Lowestoft and its community, Alison Edwards opened Dinky Town children’s indoor play centre in Oulton Broad in December 2016. The response has been overwhelmingly positive, and Alison’s hard work and dedication has paid off as she now looks to the future to continue to provide resources for local Early Years families. Alison told us about her Dinky Town journey. Can you tell us more about what Dinky Town offers? Dinky Town is an indoor children’s play centre based on an imaginary role play town. It’s an innovative play concept in a safe and controlled environment. It’s also open plan so parents can see their children at all times. What inspired you start-up your own business? I am an ex-professional dancer, Marketeer, and a mum of two boys. Dinky Town has been a long-term dream of mine, and I was determined to bring the new and exciting concept to Lowestoft in order to benefit local families. I feel passionate about Dinky Town and I believe my new venture will be successful. It’s a fun and exciting facility, which provides excellent customer service, cleanliness and has strong core values. We listen to our customers and respond accordingly. How has Nwes supported you to set up Dinky Town? After planning the concept for two and a half years, it was Nwes who helped me to bring it to life. I took advantage of 1-to-1 business support and advice sessions with Business Advisor and Deputy Area Manager, Victoria Williamson, and I also benefitted from their free business skills workshops. What has the impact of Nwes support been? From the first point of contact with Victoria, to the training workshops, Nwes has been invaluable to me and the business. Starting your own business can be daunting and scary at times, but the expertise at Nwes means that whatever the issue, I know I can just call them for advice, or just for a listening ear to calm me down. Have you encountered any challenges, and how did you overcome these? I faced many obstacles head-on, including the renovation of the premises on Bridge Road and getting to grips with the day-to-day running of the business. I also had to deal with the unexpected challenge of the closure of the road for six weeks while major roadworks were undertaken. As a new business this could have crushed momentum and we had to look at ways of encouraging customers to return to the area. However, this setback only encouraged me and the team to diversify and consider other revenue streams, such as adapting party packages to better suit our customers’ needs. What has been the highlight of your business start-up? The highlight has been seeing the fantastic reaction we have had from both the children and parents enjoying Dinky Town. We have also enjoyed talking to our customers and seeing them appreciating the high quality play area we have brought to the locality. Contact Nwes today to turn your business idea into reality.